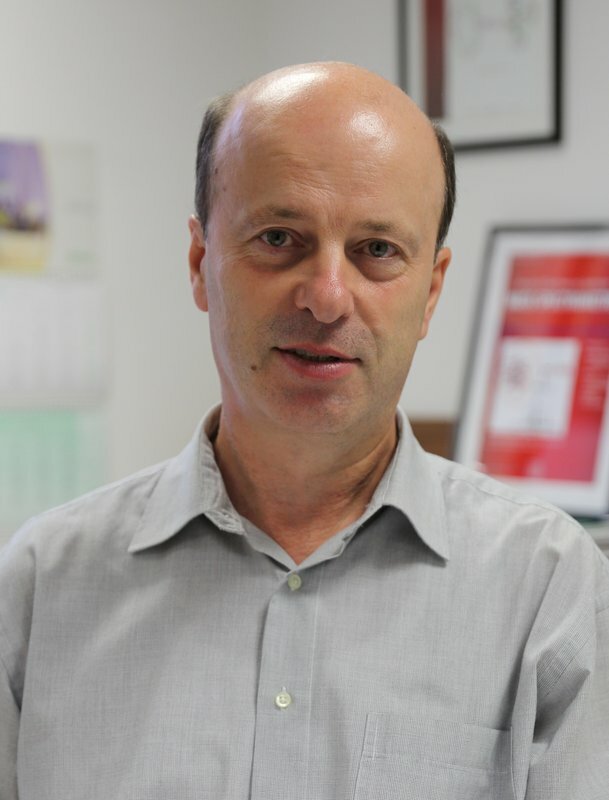 Janez Plavec (M) is the head of the Slovenian NMR Centre at the National Institute of Chemistry (NIC) and Professor of Structural Biology at the University of Ljubljana (UL). His Ph.D. degree was conferred by Uppsala University, Uppsala, Sweden in 1995. He was Fulbright fellow at Georgia Institute of Technology, Atlanta, GA, USA in 2002. His recent projects have been focused on NMR spectroscopic studies of small (organic) molecules and biomolecular systems, structural characterization of prion proteins in relation to prion disease, structure and dynamics of G-rich DNA segments, cation binding and interactions of small molecules with nucleic acids. He has co-authored over 200 original scientific papers, over 100 invited lectures at international conferences, was a mentor of 14 graduate students. He has coordinated and led several projects including establishment of EN-FIST Centre of Excellence. He is a member of the Slovenian Chemical Society, American Chemical Society, AAAS and IS3NA. He is member of Board of Directors of CERIC ERIC. M. L. Greco, A. Kotar, R. Rigo, C. Cristofari, J. Plavec, C. Sissi. "Coexistence of two main folded G-quadruplexes within a single G-rich domain in the EGFR promoter." Nucleic Acids Res., 2017, 45(17), 10132-10142. H. Tateishi-Karimata, T. Ohyama, T. Muraoka, P. Podbevšek, A. M. Wawro, S. Tanaka, S. Nakano, K. Kinbara, J. Plavec, N. Sugimoto. "Newly characterized interaction stabilizes DNA structure: oligoethylene glycols stabilize G-quadruplexes CH–pi interactions." Nucleic Acids Res., 2017, 45(12), 7021-7030. V. Kocman and J. Plavec. "Tetrahelical structural family adopted by AGCGA-rich regulatory DNA region." Nat. Commun., 2017, 8, article number: 15355. M. Gajarský, M. Lenarčič Živković, P. Stadlbauer, B. Pagano, R. Fiala, J. Amato, L. Tomáška, J. í Šponer, J. Plavec and L. Trantírek. "Structure of a Stable G Hairpin." J. Am. Chem. Soc., 2017, 139 (10), 3591-3594. A. Kotar, B. Wang, A. Shivalingam, J. Gonzalez-Garcia, R. Vilar, J. Plavec. "NMR Structure of a Triangulenium based Long-lived Fluorescence Probe Bound to G-quadruplex." Angew. Chem. Int. Ed., 2016, 55(40), 12508-12511.